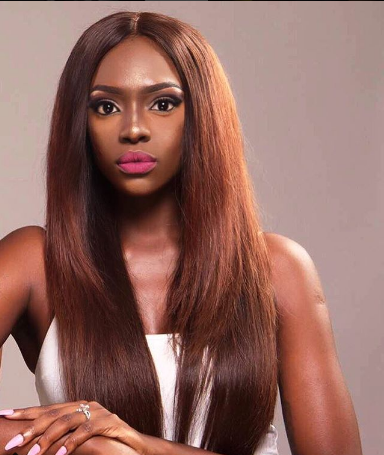 Ex-Big brother Africa housemate, Beverly Osu is no mood to be joked with about her skin colour as she has called out some bleaching cream vendors. The beautiful dark sinned model who looks like she has had enough of those business owners, took to her page to give them a piece of her mind. She asked that they stop tagging her to their products as she neither wants to tone nor does she want to brighten her knuckles. According to her, she is for organic products and they don’t require her refrigerating them. Beverly warns that they stop tagging her, as she won’t overlook them anymore is they do not stop. They won’t like her reaction either, she wrote.